The Havok was born to ride fast and long, to keep you comfortable as you fly in the face of the elements. Made for adventure, whatever your adventure is today. The Havok can run anything from skinny gravel tires to 29 × 3.0 tires so you can set it up for the terrain you’re getting ready to conquer. The titanium frame dampens washboards and ruts when you’re bombing the gravel. 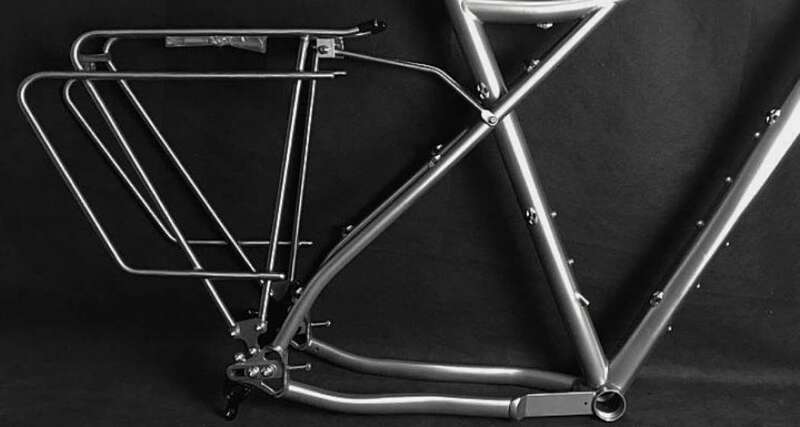 The front triangle is big for your frame bag. Triple bottle mounts on the down tube, and rack and fender mounts allow multiple bikepacking and touring gear options. The Havok is 2x compatible and includes dropper post routing. It’s designed for drop bars or your favorite traveling bars. It has sliding dropouts for versatility, and even running singlespeed, if you want to. And, perhaps one of the greatest features is it’s suspension corrected for a 100mm 29er fork, if desired. The Havok can hold its own in a gravel grind, or take all your stuff to a remote campsite. It’s a true bike friend that will do anything you ask of it. Geometry numbers in millimeters. Dimensions are using a 485mm axle to crown rigid fork.